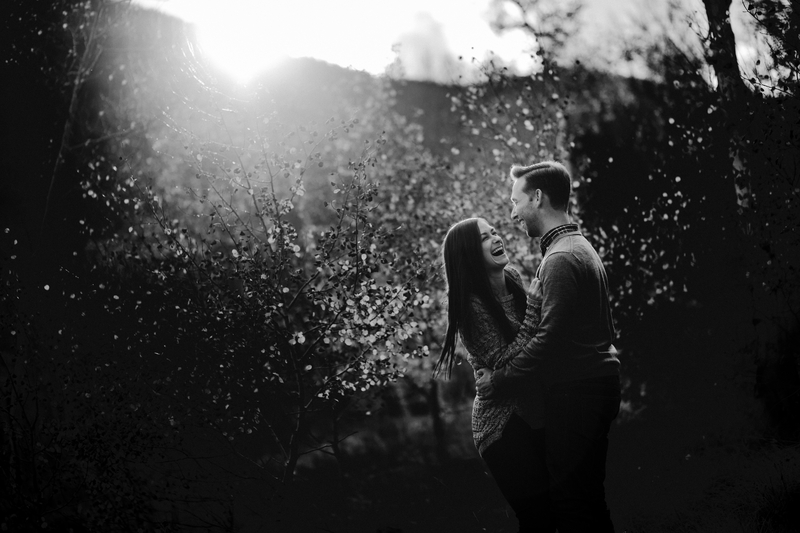 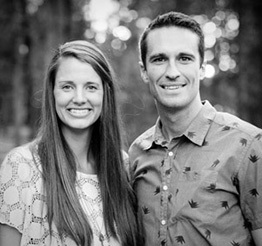 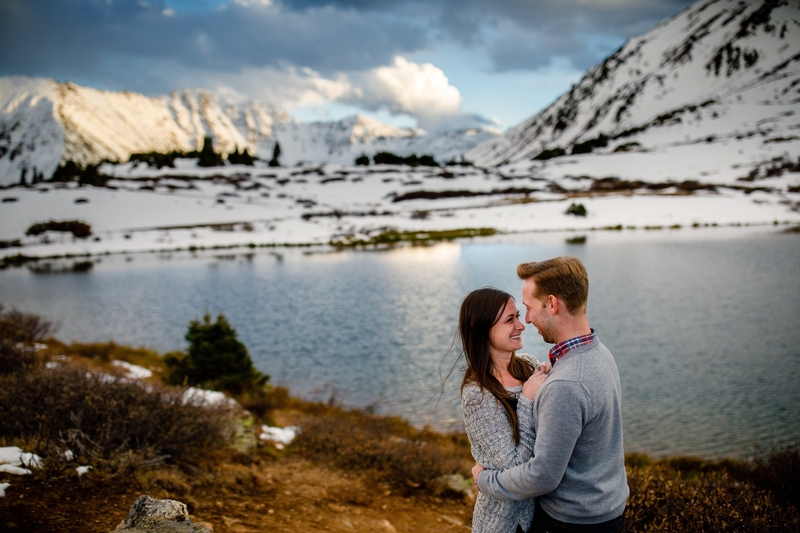 Engagement sessions are a great way for us to get to know our couples a little more before their wedding day. 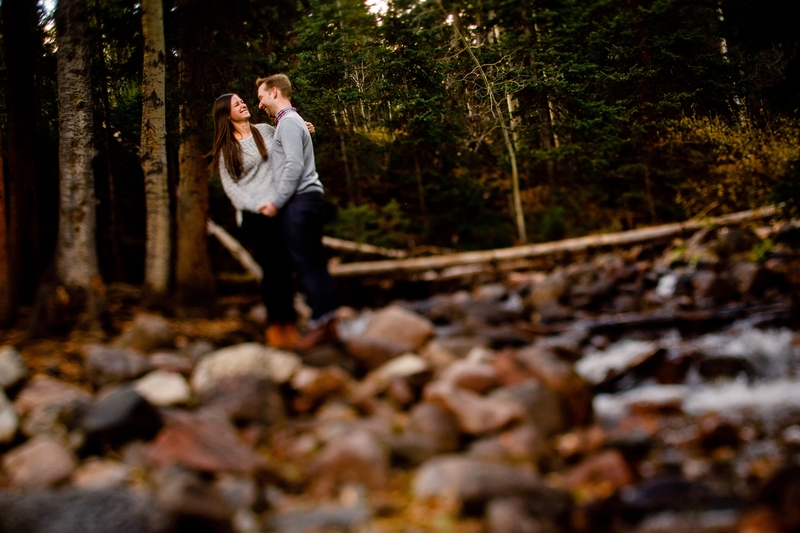 It only took a few minutes for us to hit it off with Adam and Leah. 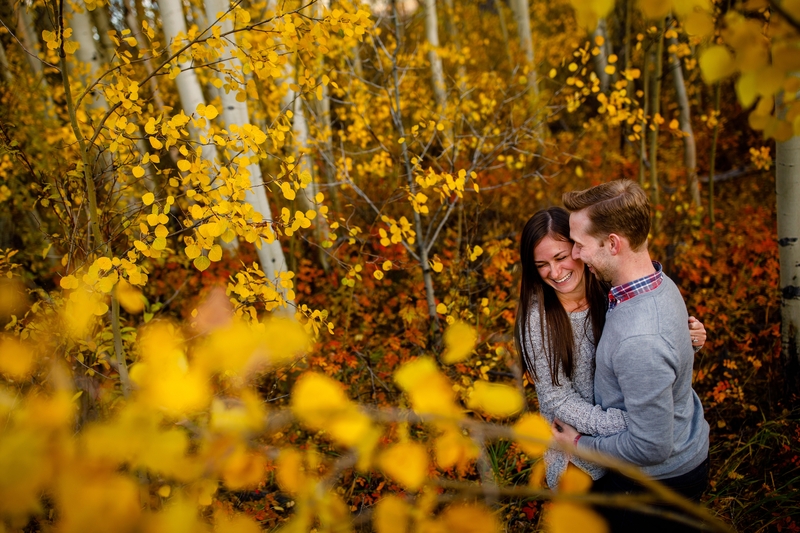 These two are full of laughter and always up for an adventure. 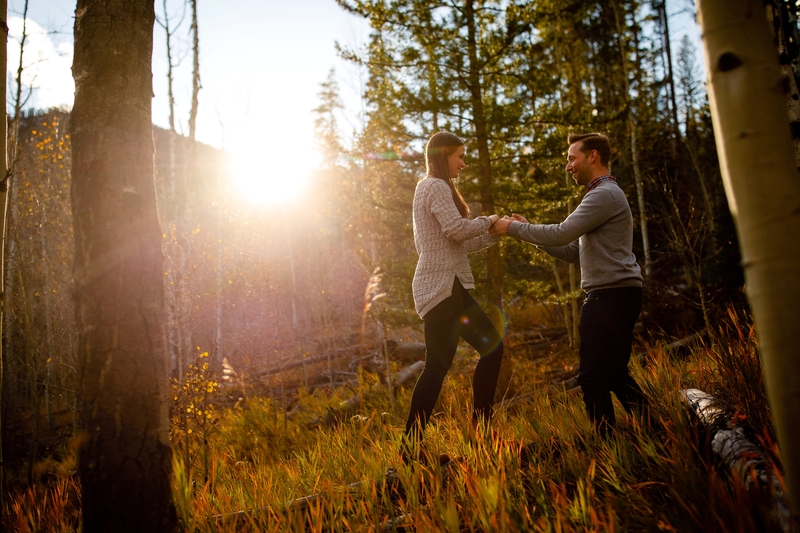 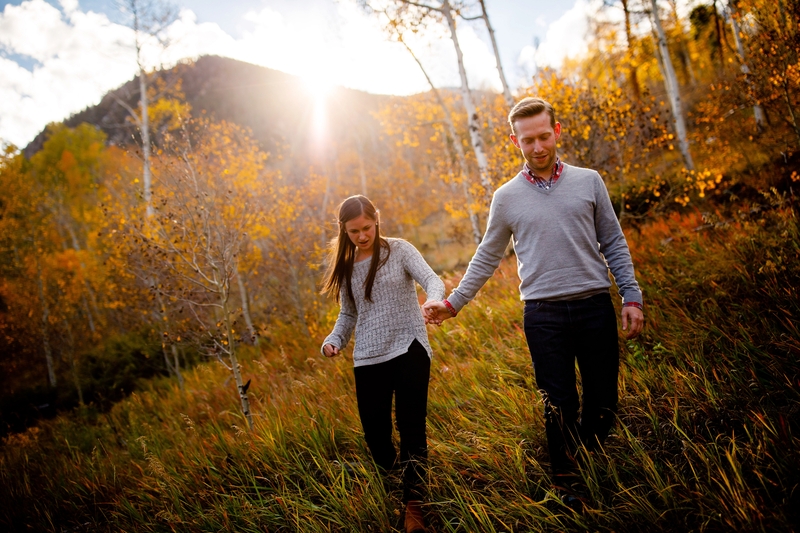 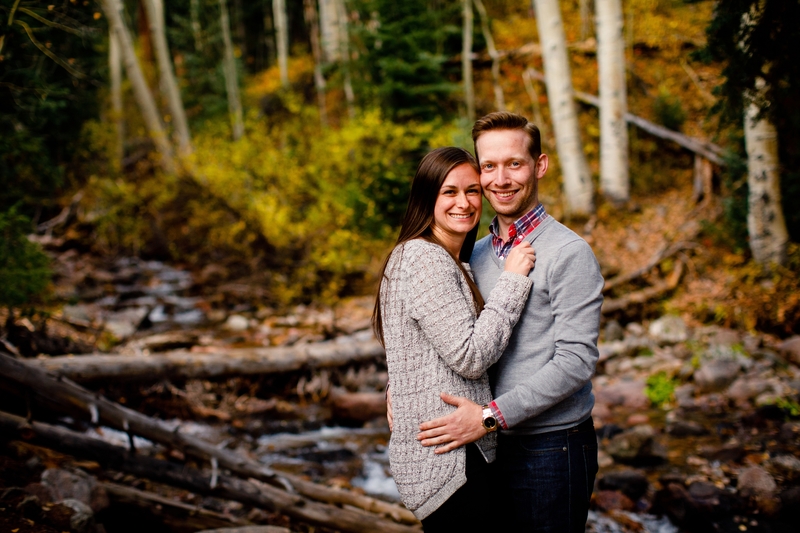 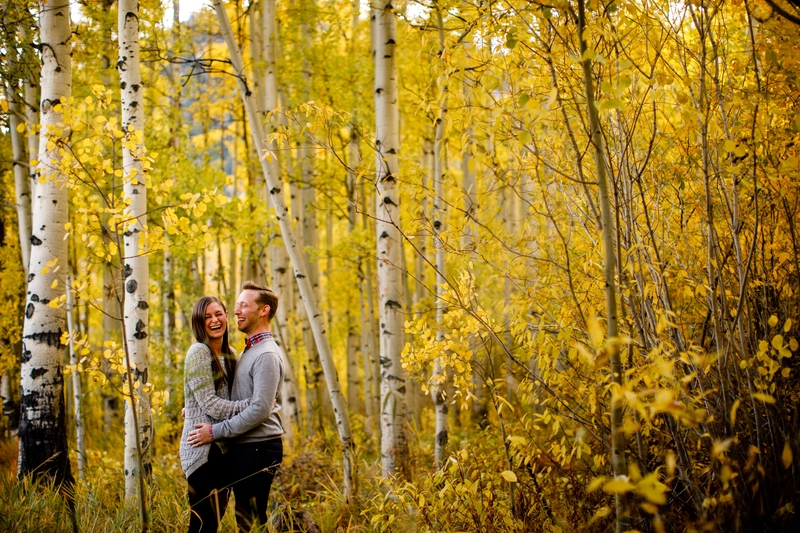 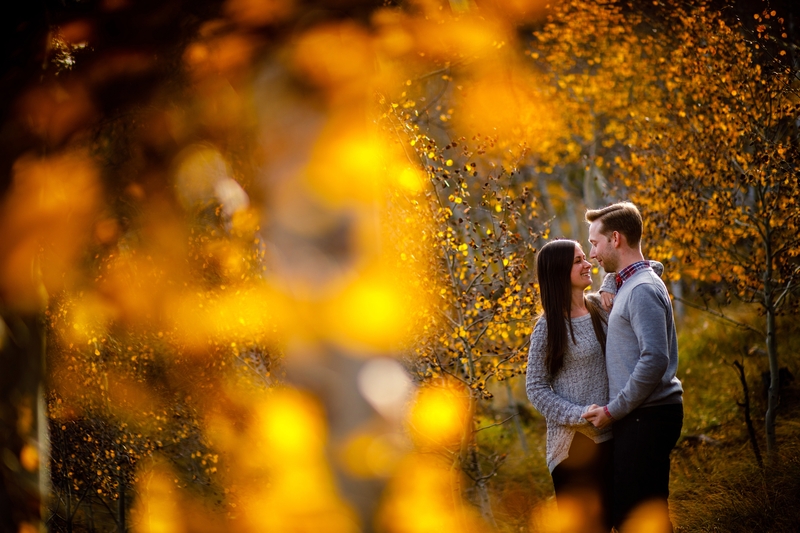 We started off their engagement session in the last golden aspen grove in Summit County tucked away on the edge of Frisco. 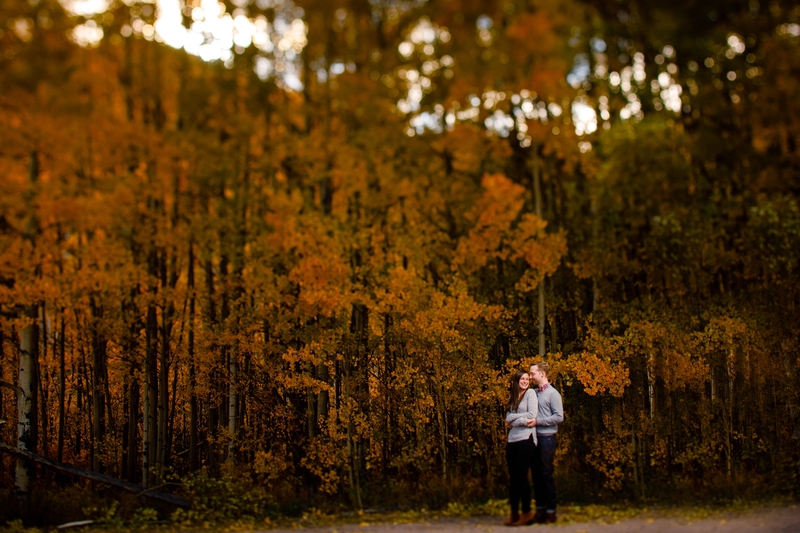 We made a quick hike up the hill to chase every ounce of light we could. 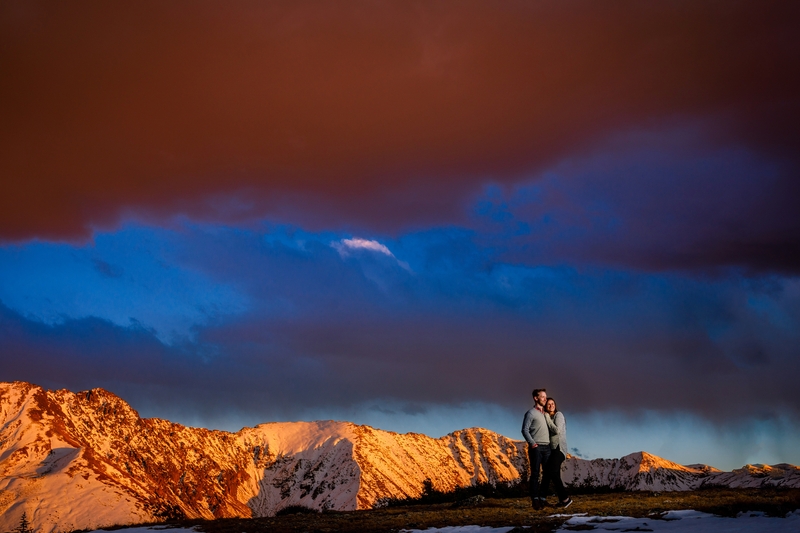 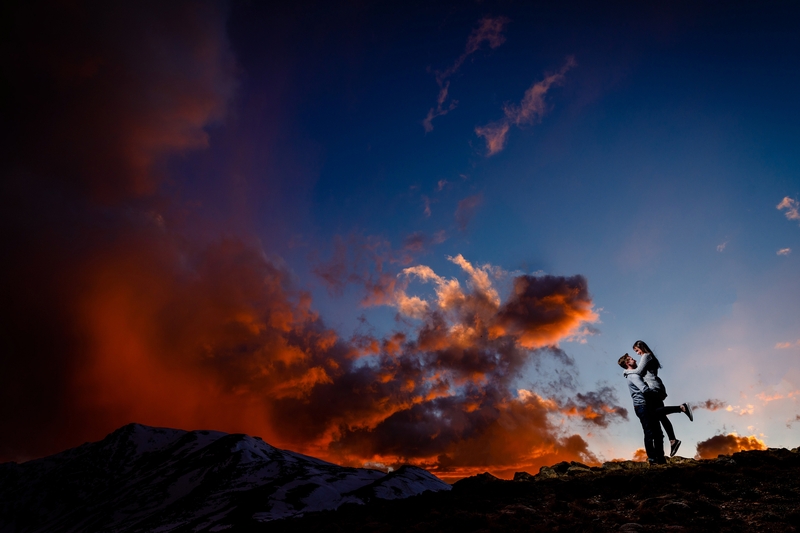 Snow capped mountains were important to Adam & Leah so we ended their session on the top of Loveland Pass were we had two epic sunsets. 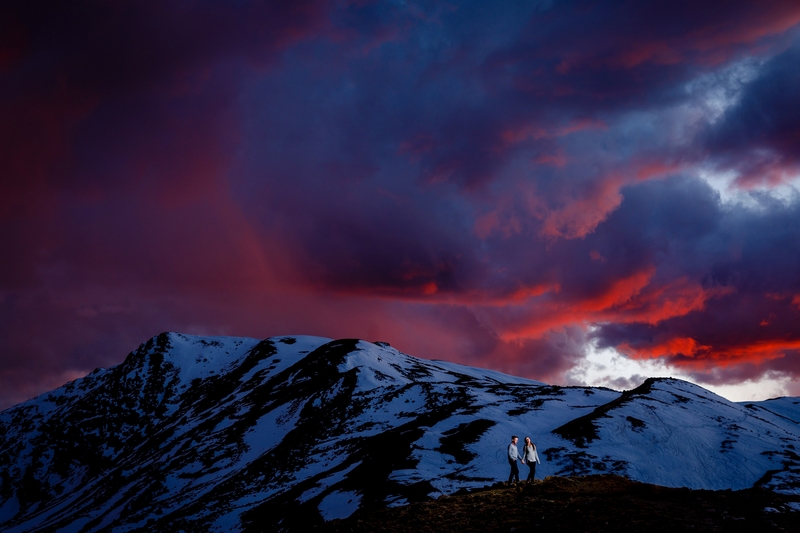 The sky turned orange before it gave one more big show of magenta before calling it a night. 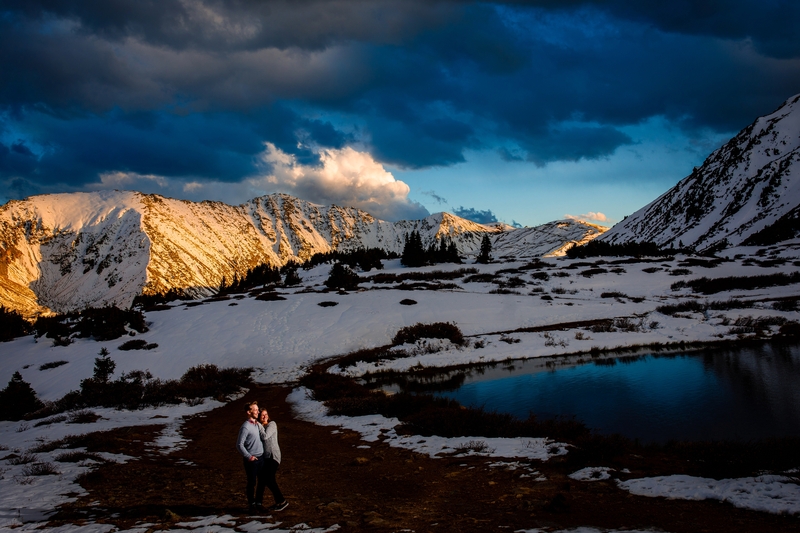 We can’t thank you both enough for getting off the path and sticking it out in the cold. 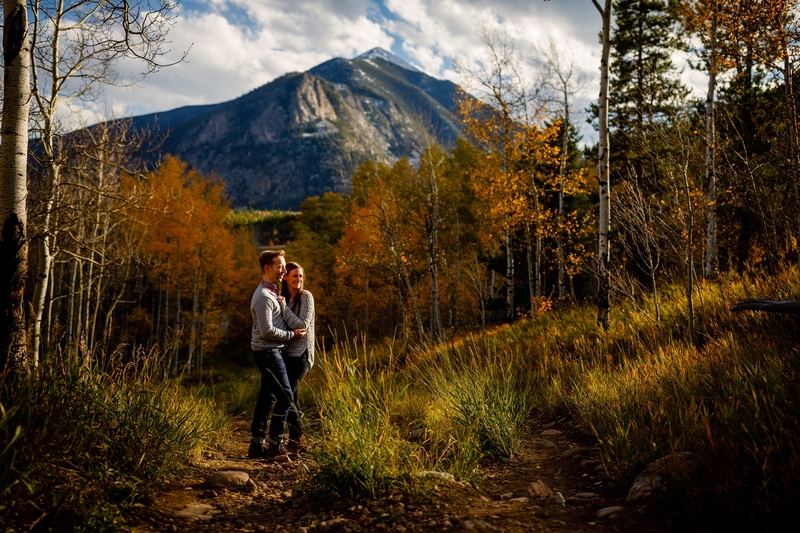 Looking forward to your wedding next year at Devil’s Thumb Ranch.